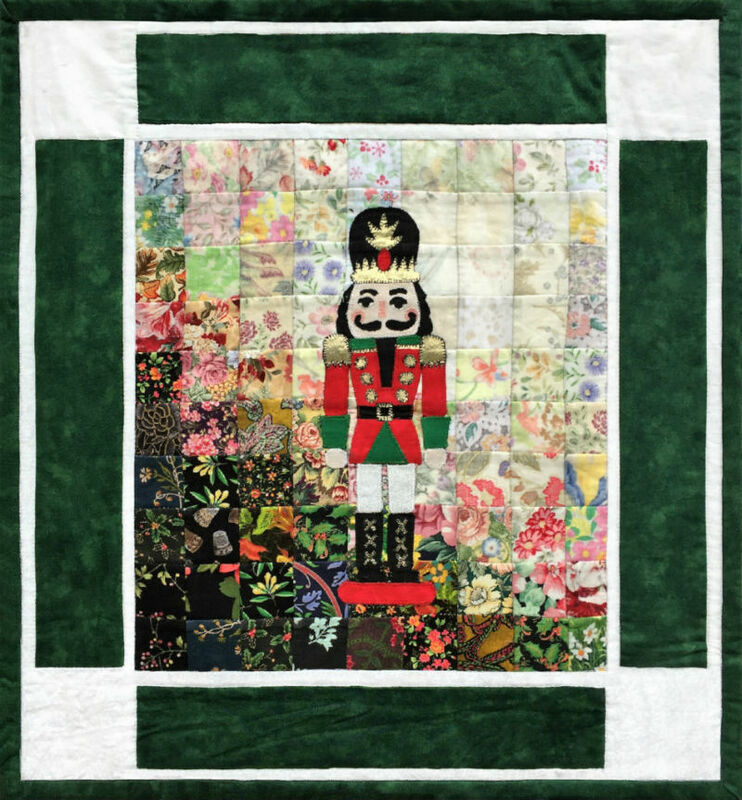 The Nutcracker Watercolor Quilt Kit designed by Mim Schlabach exclusively for Whims Watercolor Quilt Kits. "I’m a wooden nutcracker, standing at attention; always set to do my job, just pull my lever down! I fracture shells ‘tween my teeth, dispensing meats inside; for every nut I crack theres a nut who eats the meat!" These individual block quilts would be perfect for wall hangings or for gift giving!